To celebrate a successful year, we decided to throw a gemstone party. But whom should we invite? Our most popular gemstones, of course! So we took a look at which stones proved most popular with our customers. The Celebration Pendant features our three best-selling stones of marquis and round cuts, all gathered in one place, and the result is spectacular. 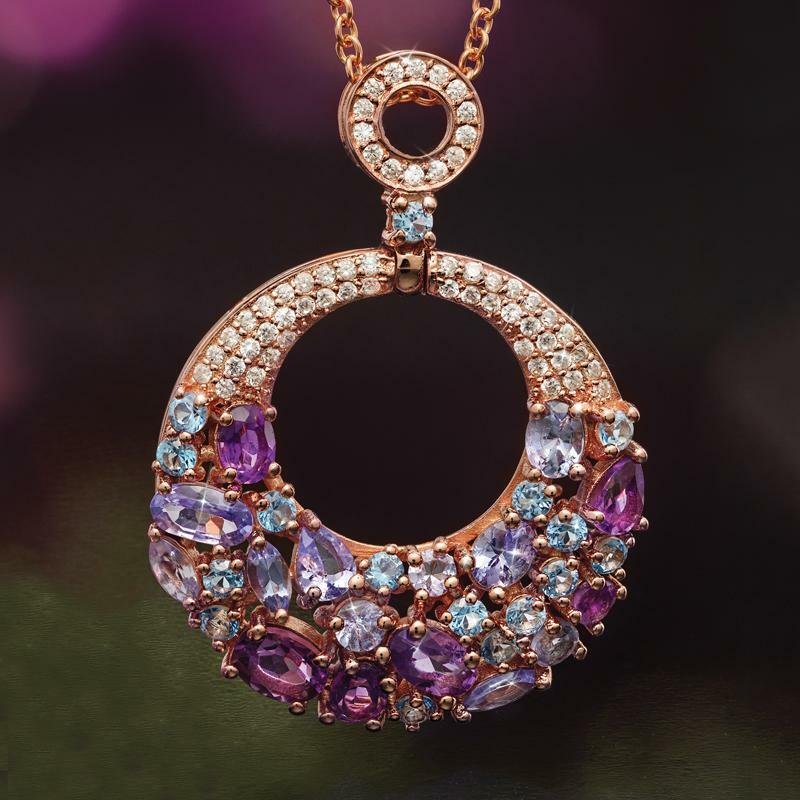 Blue topaz, beloved for their brightness; amethyst, proud purple and powerful throughout history; and tanzanite, the violet-blue beauty that is still the biggest and most important gemstone find of the past century. This trio of top performers is set in rose gold-finished sterling silver and then sprinkled with the brilliant stardust of lab-created DiamondAura® rounds, another ever-popular stone that brings added dazzle and glamour to any occasion. This all-star collection of gemstones is the ultimate jewelry celebration, but the party won’t be complete until we see the guest of honor arrive, and that’s you. We know our customers are the real reason for our success, and so we priced this collection to make sure everyone makes the VIP list.